For those looking to add some much needed light to their boat, the 18-watt handheld LED spotlight from Larson Electronics is a good choice. The spotlight’s housing is constructed from precision-machined aluminum that is powder-coated to hold up to the marine environment. 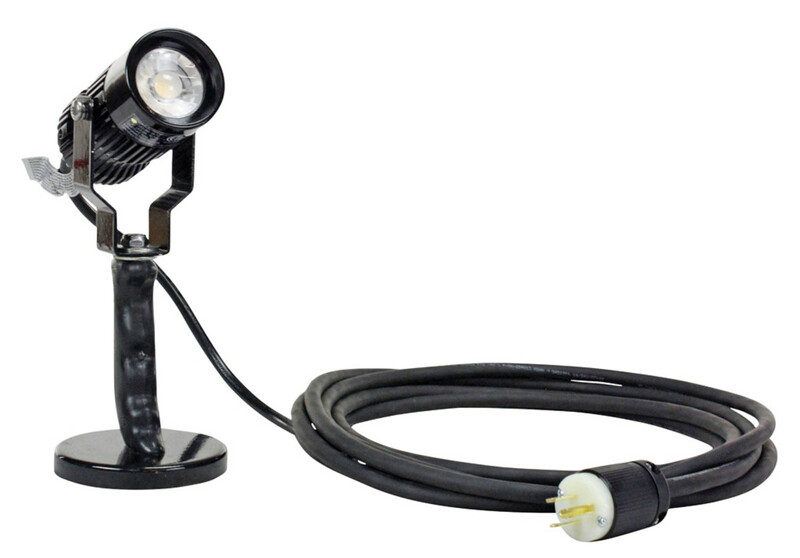 The spotlight pumps out 1,530 lumens and operates on 120 to 277 volts of AC power. The light can be focused in a 25-degree beam for distance or in a 60-degree flood beam for wide-angle use. The light is mounted to a 5in handle by an adjustable hinge that allows the head to be adjusted vertically. Additionally, the adjustable mounting bracket features a 100lb magnetic base that allows you to mount the light for times when you need a free hand or simply a little extra light in the cockpit for an alfresco meal.